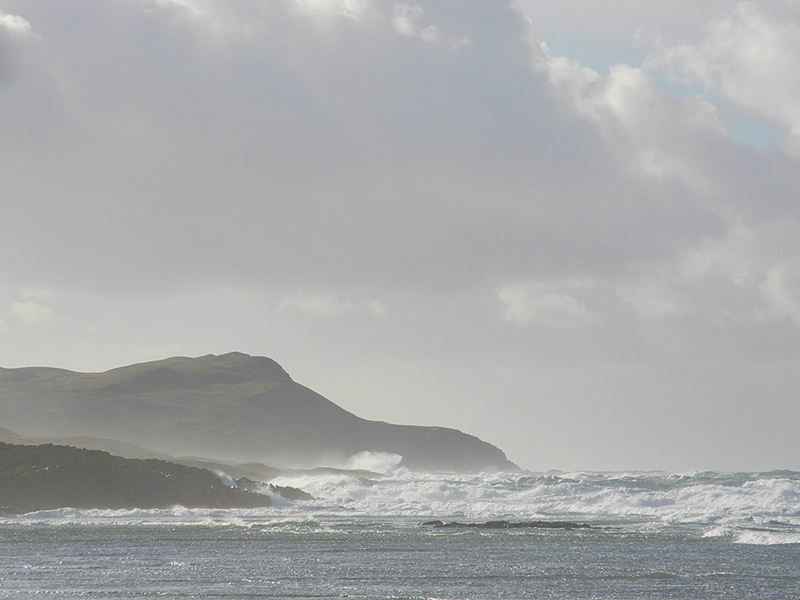 A breezy November day in Machir Bay, a big swell rolling in from the west with the waves breaking as they reach the shore. In some places spray is thrown high in the air. I like how some bright sunlight from a break in the clouds is reflecting on the water while there are still heavy clouds above.